Welcome to 'Eat Your Greens' 2019 challenge. This is a monthly vegetarian cooking challenge for food bloggers co-hosted by myself and The Veg Hog. . The idea behind 'Eat Your Greens' is really simple, to make something with a green vegetable each month. You can use any kind of green vegetable that you like and make anything that you wish from a soup, salad dish, a smoothie, a stew, a curry, a pasta dish, cookies or even a cake - absolutely anything, so long as the recipe is vegetarian. Enter Any Vegetarian or Vegan Recipe made made with Green Vegetables! WE HAVE MADE IT EVEN EASIER FOR YOU. 2.The submitted recipe has to be 100% vegetarian. 3. Post your recipe on your blog for the appropriate month. Please make sure that you have permission to use any photographs that are not your own. 4. Old recipe entries are accepted, so long as they are re-posted in the month of the challenge. 5. Mention 'Eat Your Greens' in your post and link back to A2K - A Seasonal Veg Table And my Co-Host The Veg Hog. 6. 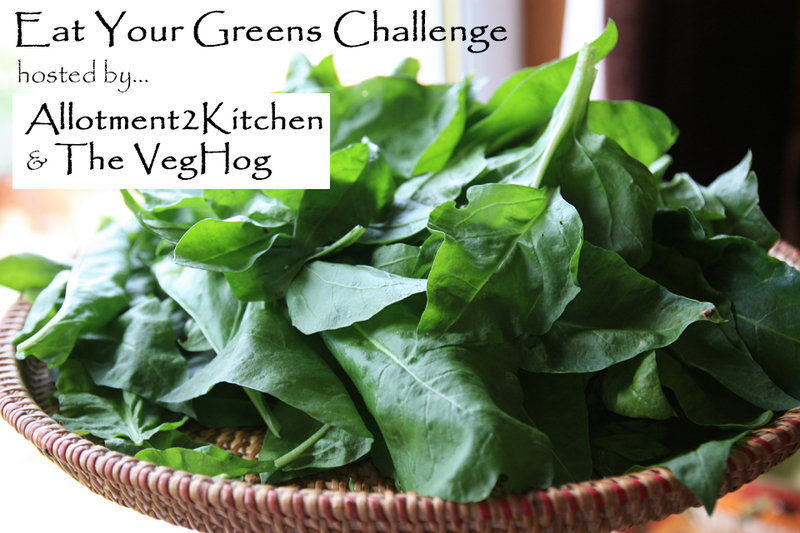 Your support in helping me to promote Eat Your Greens challenge would be most appreciated,. Therefore, I would ask that you use the logo designed for 'Eat Your Greens' challenge, but this is optional. 7. Entries should be submitted no later than midnight of the 28th of the month or deadline on hosts page. @SeasonalShaheen @TheVegHog and we will retweet all that we see. 9. The round up of the entries will be posted at the end of the month or at the beginning of the following month. 10. The new challenge will be hosted on the 1st of the month.